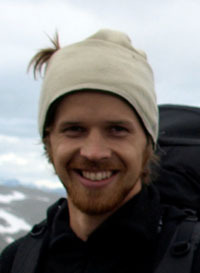 Marius Årthun in an ice-free environment, at Corsica. What if we could predict how much sea ice there will be in the Nordic Seas in two years? Or twenty? In the gap between ordinary weather forecasts and climate projections, there is a dialog between the ocean and the atmosphere. Without understanding how they interact, we cannot predict variations in climate, says Marius Årthun. – Can you describe your project? – My work focuses on the basin-scale ocean circulation and air-sea interaction within the northern North Atlantic and Nordic Seas, and whether associated climate and sea ice variations are predictable on interannual-to-decadal time scales. – In a broader context, where is your work in the big puzzle? – Skillful climate prediction is essential for many societal applications and to fill the scientific gap that currently exists between the established fields of weather forecasting and future climate change projection. Understanding the interaction between the ocean and the atmosphere is a prerequisite for understanding and predicting climate variability. – Does your project involve international collaboration? – There is some collaboration with Helen Johnson at the University of Oxford. – What do you find most interesting about your work? – Put simply: figuring out how stuff and nature works.